The Coquet Shorebase Trust is a community based water sports centre located in Amble. They run courses in all major watersports. There are courses for Adults, Children and Families. Some of these courses include: Sailing, Canoeing/Kayaking, Windsurfing, Sports boats and RIBs. The Shorebase is located at The Braid, which is located on the road from Amble to Warkworth. Boards and Bikes is a unique adventure service. They’re mobile – they bring the fun to you, delivering the bikes, wetsuits, boards and equipment you need to have a good time. They work specifically on the beautiful coastal area of North Northumberland between The Holy Island of Lindisfarne in the North, down to the ruins of Dunstanburgh Castle and Embleton village in the South. They have lots of experience in this beautiful area, and offer the detailed and expansive knowledge they have gathered over thirty years to help you get the most fun out of your stay in the area. 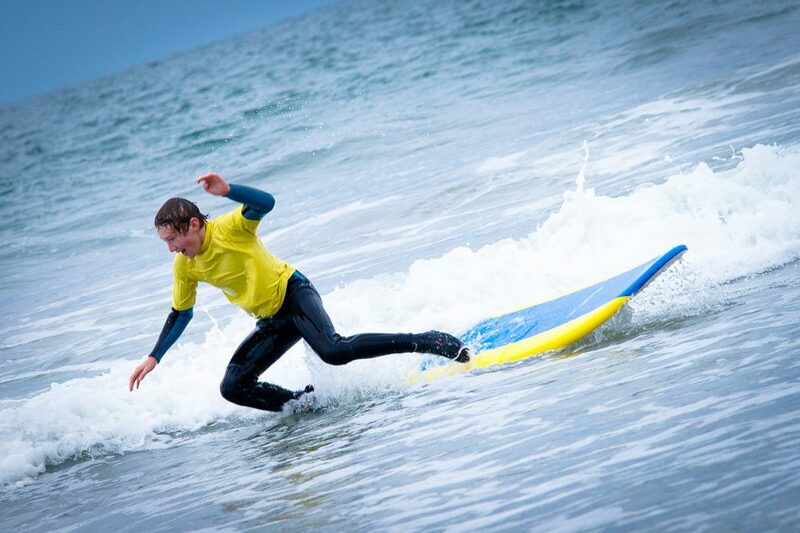 Northside Surf School is a Surfschool based in Amble, situated on the stunning northeast coast offering beach surfing, snorkelling and stand up paddle boarding lessons to all ages. Lessons can be arranged at North Druridge Bay, Warkworth Bay, Longhoughton Bay, Embleton Bay, Beadnell Bay, Seahouses and Bamburgh. Based in Beadnell Northumberland KA Adventure Sports is a recognised school in Kitesurfing, Stand Up Paddle Boarding and Coasteering. The activities all taking place in the most superb locations along the Northumberland coastline. Established in 2009 KA have built a fantastic reputation as one of the top adventure activity providers in Northumberland. KA Kitesurfing have hosted sessions for families and groups of friends who are after a bit of fun time together along with team building sessions for the Police, Fire Service and Army along with pre-season training sessions for some of our local professional sports teams such as the Newcastle Falcons rugby team. Team KA have even hosted Royalty. Really nothing is beyond their capabilities! KA have built strong foundations over the years with a reputation for quality, safety and value for money, they have an abundance of experience with thousands of tuition hours under their belt, they ensure a safe yet fun learning environment at all levels.